There are many things is Ubud you can discover started from hidden beaches, amazing waterfall, and of course, monkey forest. You can also meet notable artisans in Ubud and even visit their workshops. Another interesting spot to visit is The Ubud Art Market where you can find and buy hand-crafted goods. However, you also need to prepare your accommodation in advance by booking one of Ubud villas with chic vibe. Well, staying in Ubud means you are closer to the nature. When you head to the outskirts, you can see rice terrace with amazing view. You can also explore marine life by trying some popular diving spots. Umah Shanti is a cozy and chic villa perfect for serene retreat. This private villa is located only few minutes away from the center of Ubud. There are three individual pavilions you can book for your stay. Each of them overlook amazing view of the valley and beautiful greenery. Even though the location is near the center of Ubud, you won’t be disturbed by constant noise or buzz. This is where you can stay in a peaceful place during your trip in Bali. Villa Nag Shampa is located in more secluded area. It is situated amongst traditional Balinese village so you will have peaceful retreat during your stay in Bali. Even though the location is quite secluded, you will be indulged with complete facilities such as swimming pools, tropical garden, as well as recreational area. Thus, you won’t feel bored. On the outside, you will find timber deck leading to the outdoor pool. Thus, you can relax while soaking up the sun. Rouge Passion is one of the most recommended Ubud villas with chic vibe to book for your trip in Bali. Aside from bedrooms, this villa is also equipped with infinity pool, large balcony, a bar, chic kitchen, and spacious living and dining pavilion. The infinity pool is above the average because it is surrounded by natural stones. It is located only 15 minute away from the center of Ubud. The nearest places of interests include fine restaurants, fashionable shops, chic art galleries as well as museums. Many of them are within walking distance. Villa Candi Kecil Empat is chic private villa situated in within Ubud’s traditional villages. Staying in this villa, you will enjoy the lush garden, outdoor pool, and great facilities. The location is ideal for you to freely roaming around Ubud and visiting many attractions within walking distance. 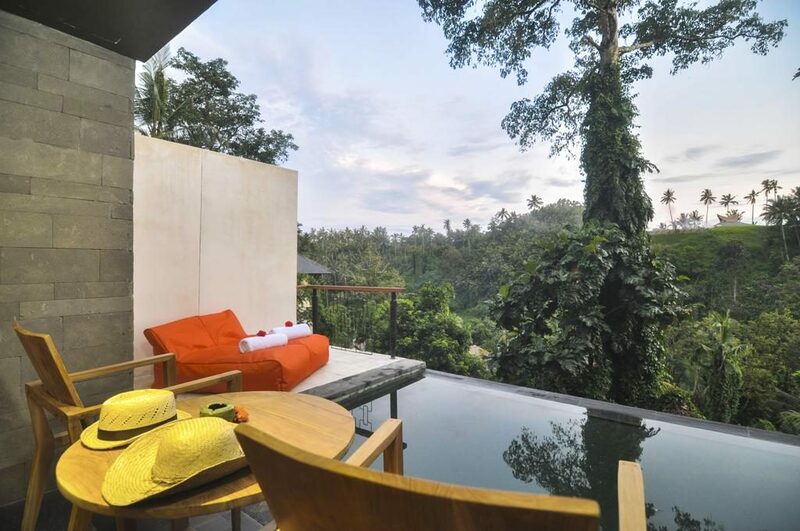 The villa is only 15 minutes away from the center of Ubud and 8 minutes’ drive away from the famous Goa Gajah Temple. Not to mention that the rent is affordable even for budget travelers. Why Camera Can Be Your Travel’s Enemy?